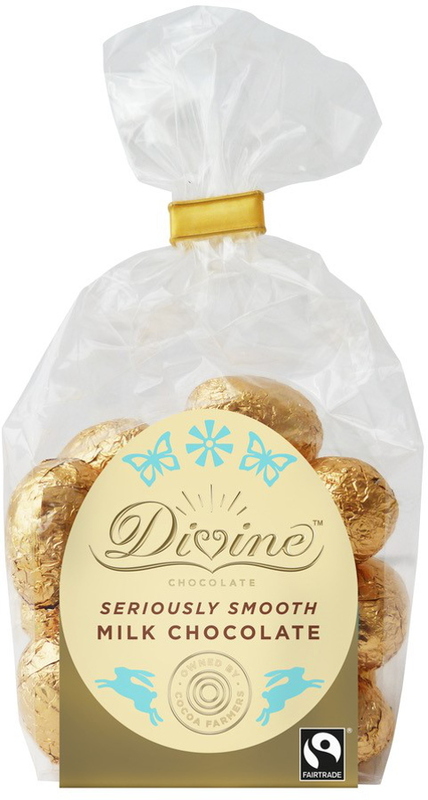 Give the Easter Bunny a break and give out some eggs of your own with these mouth-watering morsels from Divine Chocolate. 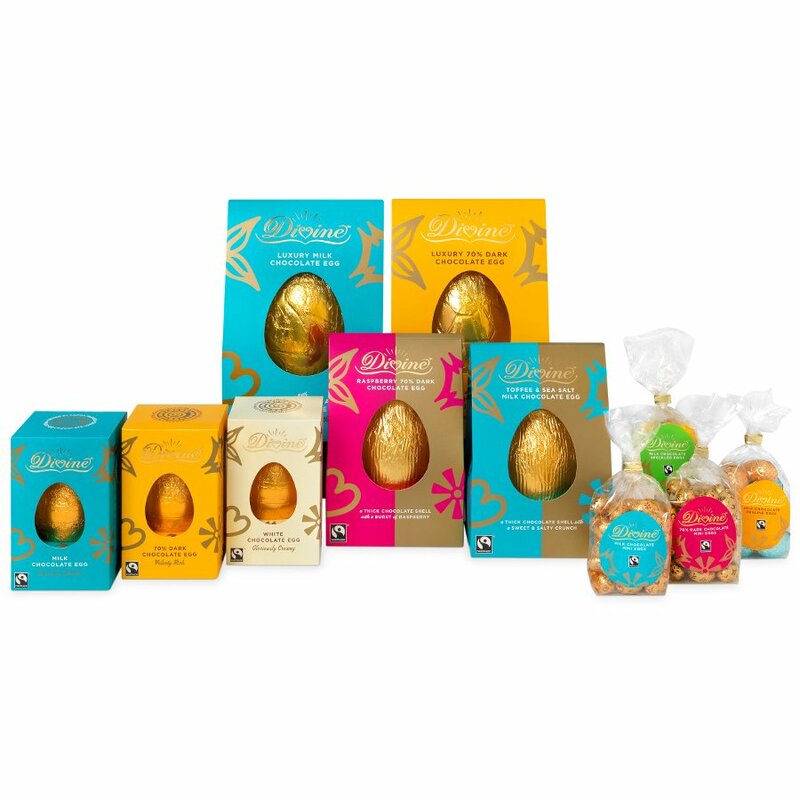 Made by skilled chocolatiers, these eggs have a truly rich flavour and a creamy texture that only the finest milk chocolate can achieve. The recipe used is completely free from palm oil and uses ingredients taken from a wholly sustainable source. 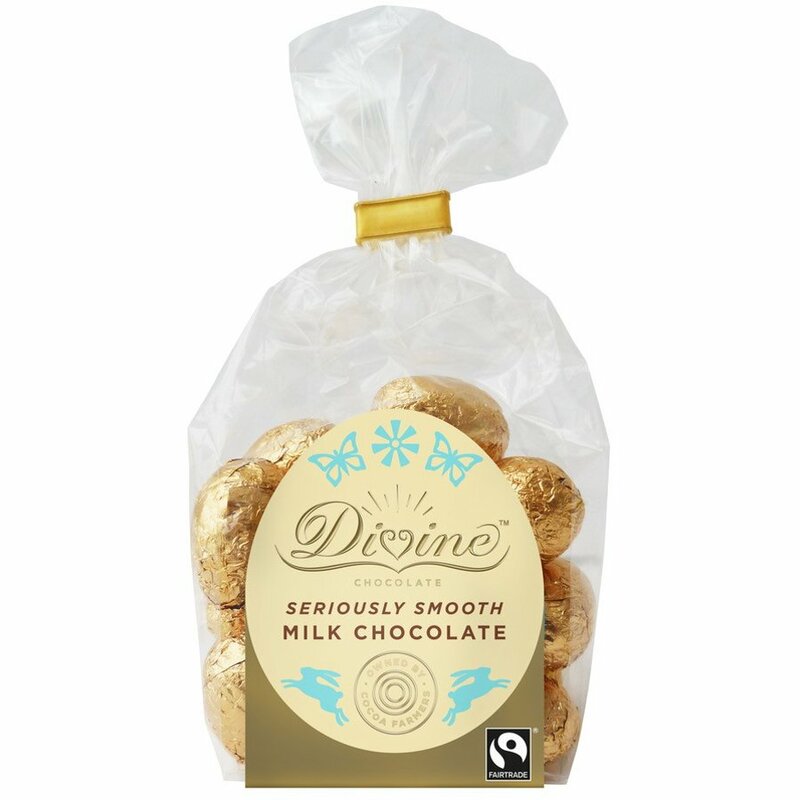 Divine Chocolate products support fair trade farms and co-ops to ensure that workers are paid fairly and can work in a safe environment. 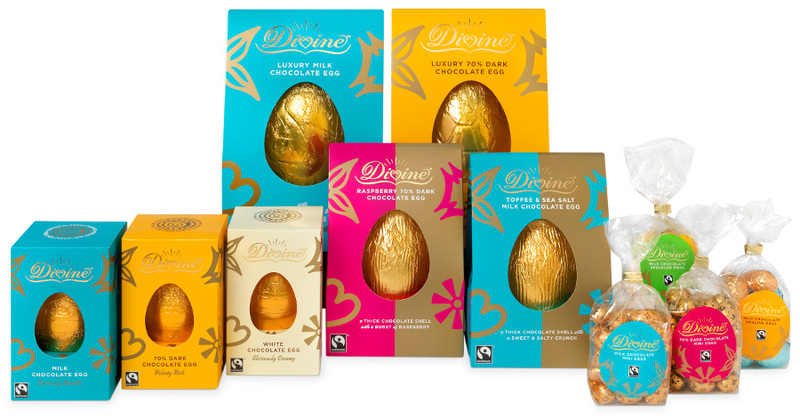 Each Divine Chocolate product holds the FairTrade label of certification as testament of their dedication to ethical production. Sugar, cocoa butter, dried cream (milk), cocoa mass, whole milk powder, emulsifier: sunflower lecithin, vanilla. Cocoa solids 26% minimum. Milk solids 22% minimum. There are currently no questions to display about Divine Milk Chocolate Mini Eggs.